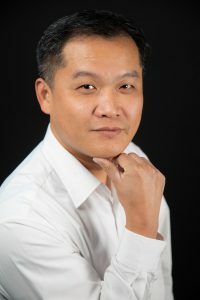 Ray Yang is currently working as a Team Lead in Digital & Enterprise Technology department in Suncor, responsible for System Management and Monitoring, Data Centre Facilities. Prior to that, after moving from China to Canada in 2007, he was the service delivery manager for a North American IT company managing IT infrastructure service in an Oil and Gas company. Before moving to Canada, Ray held various positions in a number of multinational IT companies in Beijing, China, include: Infrastructure Manager, Operations Director, Chief Operating Officer, etc. Ray holds a MBA from Peking University and bachelor’s degree in Electronics Engineering from Shanghai Jiao Tong University. In his spare time, Ray is activity engaged in community services, he is an active volunteer in Air Cadets, City of Calgary, ski resort and other organizations and events.